This is just a HUD that takes things in a minimalist approach, where in the Game Gear... or Master System games. Score icon, ring icon, clock icon and lives icon, with the numbers next to them. Fixed spam of warnings in some cases after beating a boss due to lack of vaild check. Major code overhaul, as it now uses TehRealSalt's custom HUD library. In addition to the first change, the ring will now flash between red and gold when you have 0 rings. Changed the position of the graphics to account for larger values. For any maps that uses the countdown level header option and has a time limit, the clock will also flash between red and silver one minute before the time limit is reached. More compatibility with mods. I can't promise everything is supported. But I tried to support most major mods released currently. Code optimization and improvements. Special thanks to Blaze The Cat. Ring animation is now 10x smoother. Thanks to Blaze The Cat again! Fixed a bug where the HUD would not show up players other then player 1, due to uh, validity checks, sorry about that. Ring icon is now animated (Special thanks to Sapheros for providing the code). Version 1.1 is now available. Last edited by Steel Titanium; 03-03-2017 at 04:11 AM. Edit: Ok, somehow I got this to happen once in vanilla SRB2 without adding anything else, but can't seem to replicate it now, weirdly (this image was taken with wads added so that's probably the cause in this case, but it definitely happened with nothing but this added in one case...feel free to ignore this post though I suppose). 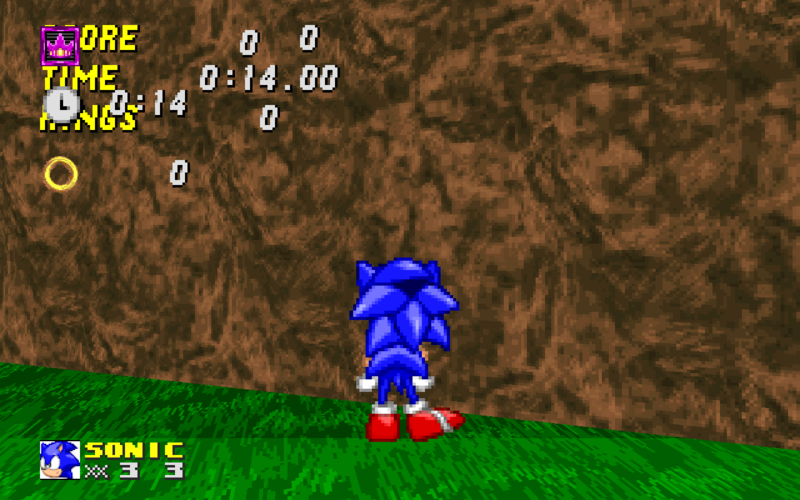 It may be the Sonic CD special stages doing this, but if it hadn't happened in vanilla too I wouldn't have made this post...I'll try and see if I can get it to happen again. Last edited by Chaotic Chao; 03-06-2017 at 03:18 AM. Me and steel found out that if this mod is combined with SUGOI, SRB2DVD, SUBARASHII (since I know my special stage modifies the HUD) and any other HUD modifying mods it will end up like that. Last edited by Sapheros; 03-06-2017 at 05:23 AM. Yes, it's due to hard coded limits, and I don't really know how to workaround that for the time being, so I recommend you don't use this with anything that enables the old HUD, till I find a way around that. Version 1.2 of gghud is out! After months of working on this, it's finally done, version 2.0 is out now! With some big changes!. Because this is a such a huge change, please let me know about any bugs encountered.